s Imagine you have the choice between feeding your children a nourishing breakfast or filling up your bone dry gas tank to get to your job. Which would you choose? If you don't go to work, you can't bring any more money in. You can't imagine letting your kids go hungry though! Does that sound like some kind of dire doomsday prediction? It certainly does, but unfortunately there are hundreds of thousands of people in our country living that harsh reality right now due to rising gas prices. "I just spent my firstborn's college tuition on a tank of gas that won't even last me through the week." "I've decided I'm just going to walk everywhere from now on. Who cares if I live 20 miles from my job? I hate #gasprices"
We have been here before, back when Hurricane Katrina hit and our wallets felt the full impact of the pain at the pump. Now here we are again, and it's predicted to be even worse. So how do we manage? How do we lessen the impact of rising gas prices without sacrificing our quality of life? Is it even possible? Here are 5 ways to help alleviate some of your pain over rising gas prices. The combination of these steps should net you significant savings, and hopefully you will get through this gas hike in one piece. If you have to amend your schedule by a few minutes here and there, the savings will be worth the compromise. Carpools are not just for elementary school pickups or jobs inside the city limits. Live far from the grocery store? Make a deal with a neighbor or family member and go grocery shopping together. Do you hop in the car daily to trek to the gym? Enlist a gym buddy nearby and switch off driving duties. Likewise, anytime you can combine errands into one convenient, gas sparing trip you get to keep more of your cash in your pocket. Shop once a week or less and try to do as much shopping as possible during light traffic hours. It all boils down to simply using your car less. Less driving, more savings. A direct result of rising gas prices is rising food prices. As the price of gas rapidly increases, so will the cost of our produce, meats, grains and pretty much everything else that needs to be driven to it's final destination. They have to pass the costs on somewhere, and unfortunately…it is passed directly on to the consumer. Learn to use the supermarket to your advantage by educating yourself on how to use coupons and how to strategically shop. Worried that coupons are just for junk food? Check out this article on why coupons save you more money than defaulting to generic or buying in bulk, and why you can just chunk the junk coupons out and still live a healthy lifestyle. Grocery stores and drugstores are jam packed full of money saving possibilities if you learn how to play their game. Make the commitment to educate yourself and your savings will more than compensate you for your time. The truth is, we all have those little expenditures within our budget that can be manipulated or even eliminated completely. How many products or services do you pay $9.99 a month for? Anything that you pay $x.99 a month for is likely an extra. It's not a necessity and can quite likely be cut out or at least downgraded to assist with rising gas prices. Also, take a look at your larger expenses and think hard and long about whether they are really worth the cost. You might not think you can live without your SUV with the $800 car note, but you would be surprised at how easily you could downgrade when you realized how much money you are saving month to month. How often do you really watch your cable television? Which channels are you really using out of that 1,000 plus channel package? Could a small instant streaming service like Netflix or Amazon suffice? Be ruthless here, and if you aren't willing to give something up, at least attempt to negotiate a better deal. At the very least, research alternative options so you are making an informed decision and not an emotional one. You might be rolling your eyes right about now. If it was that easy, why do I need to do anything else? If I could name my price for a gallon of gas, I think I'd choose $.99 a gallon. That seems fair for everyone involved! Seriously though, you don't have to pay for the most expensive gas on the offramp of the freeway. You can pay less for gas if you do a bit of research. One of the fastest growing websites right now is gasbuddy.com. It is a mecca for all things gas related, and it can help you save on gas in a variety of ways. First check out their 10 ways to save fuel. 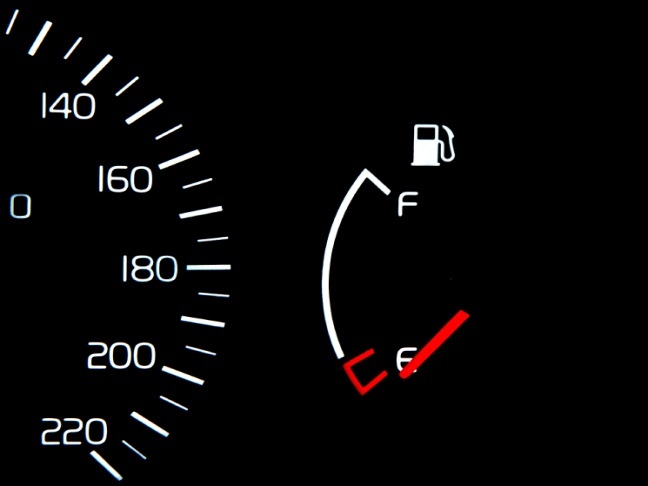 From driving slower to keeping your tires properly inflated, they list 10 practical ways to stretch that ridiculously expensive tank of gas as far as humanly possible. Of course, you can also find the gas stations nearest you with the cheapest gas…and you guessed it, there is an app for that too. Take advantage of store promotions that give discounts on gas as well. With your Sams Club membership you are welcome to their discounted gas, and Kroger now has a partnership with Shell to take $.10 per gallon off your next tank of gas when you use spend over $100 and use your Kroger Plus card (this also works at Kroger gas stations). Chances are high that there is a store somewhere near you with a similar promotion. This works into learning how to shop strategically; the more you know about your local stores and their store promotions, the more you save. Now, I don't need to lecture you on helping the little man. We all know it is important to support our local businesses. With gas prices rising, they really do have the most at risk. The little local spots don't have the luxury of taking losses until the tide turns. During periods of inflation, it is the little guy that gets crushed. Support your local businesses and sometimes you might even wind up coming out ahead. Local farms won't have to truck their produce, so they don't have to pay anyone to get it from farm to farm-stand. This step might seem counterproductive to saving money, but I promise it is not. It's more of a long term strategy to keep inflation in check. The more small businesses out there competing with the big box stores, the better. Supporting your local economy is vital to keeping competition healthy and growing towns and cities honestly. From small manageable changes, to educating yourself, to the bigger picture; I hope these steps really will alleviate some of your pain at the pump. Rising gas prices don't need to be the demise of your budget plan. It might just take some tweaks and some changes in thinking to stay on top of your game. Do you have any tips for saving money on rising gas prices? I'd love to hear your suggestions!